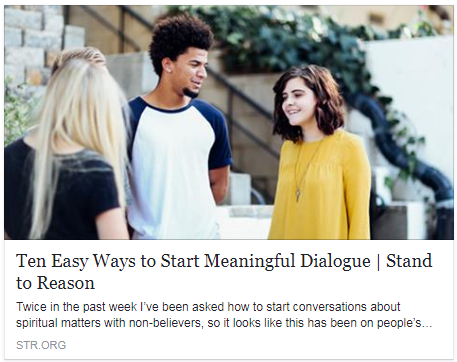 "Ten Easy Ways to Start Meaningful Dialogue," an article by Steve Wagner (JFA's Executive Director), was featured in a a recent blog post by Amy K. Hall for Stand to Reason. You can read it by clicking on the image nearby. Are you looking for a way to put these principles into practice? We invite you to participate in the JFA training program, which includes a university campus outreach experience. Newer PostConversation Starter - "One Tiny Free Speech Board Comment"